Meal planning is an excellent way to save money, time, and resources while improving the quality of your family’s meals. Buy only what you need to prepare the meals you have planned. Avoid repeat trips to the grocery store to pick up one or two items (which almost always turns into 5-10 items). Reduce impulse purchases by shopping with a list and sticking to it. Learn to use what you have on hand and avoid waste. Taking the time to plan meals in advance allows you to make healthier choices and ensure all of your nutrition needs are met. ​Scrambling at the last minute to get something on the table almost always results in compromises when it comes to nutrition. Fast food is not usually healthy food whether purchased from a restaurant chain or thrown together in a hurry at home. Stress comes from uncertainty, frustration, and being unprepared. All of these can be reduced through meal planning. No worrying at the last minute about what you are going to prepare. Less stress about how you will stretch your food $. Peace of mind knowing you’ve got a plan in place that meets your needs. Ask friends and family to share their favorite recipes with you. 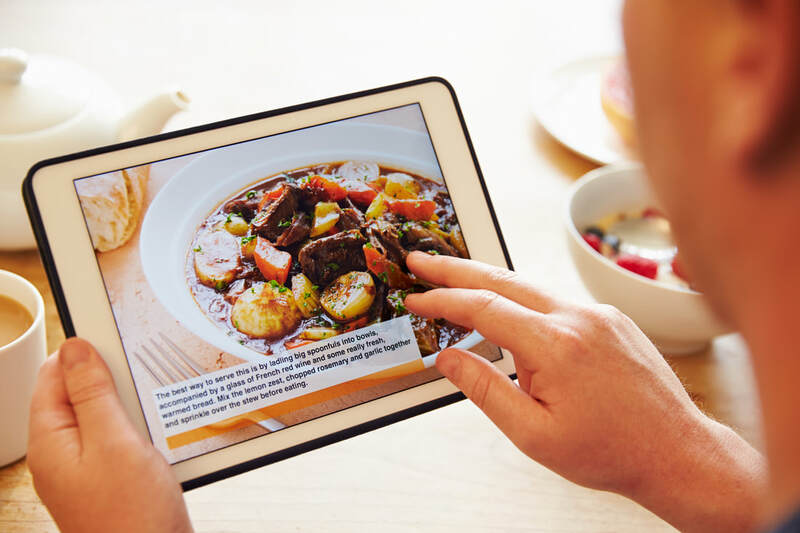 Flip through your cookbooks for simple, healthy recipes that appeal to your tastes. When seeking new recipes to try, be discriminating and realistic. Select recipes which call for ingredients that appeal to you and those you are cooking for. Keep it simple. 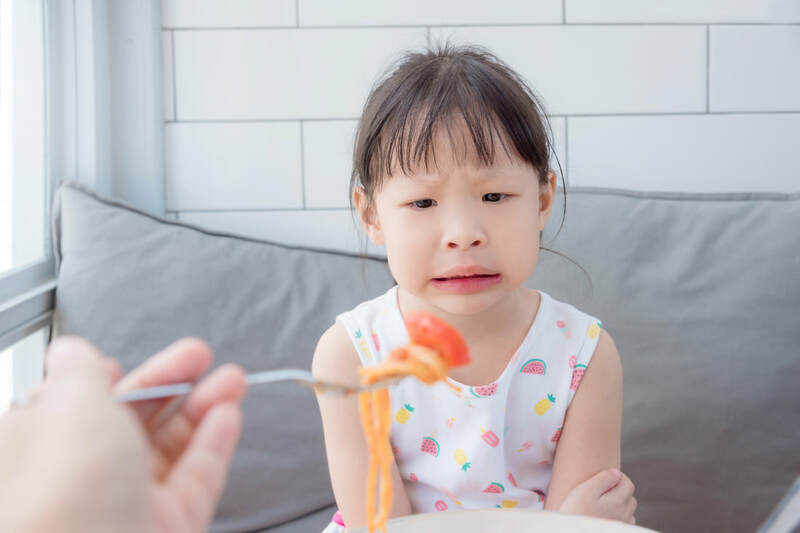 Avoid complicated or time-consuming recipes as well as recipes which call for exotic foods or foods you think you should like but have never tried. Stick with foods you know you (and your family) like to avoid waste and frustration. Do you have meetings in the evening? Will you be working late one or more nights? Plan simple, easy to fix meals on the days when you are busiest. Consider preparing extra the night before so that you can eat leftovers or cook something in the crock pot so that it’s ready when you get home. Take advantage of fresh produce and other items when they are in season. The cost and quality will be better when the items are readily available. Try to incorporate variety into your menu. Variety adds interest and often improves nutrition. Here are some suggestions for incorporating variety into your meal planning. Plan a meatless meal once a week. Substitute breakfast for dinner once in a while. Have a pancake supper or an omelet. Have sandwiches for dinner, especially on busy nights when you have to be somewhere. Alternate new recipes and old favorites. Create a 'bar' (taco bar, salad bar, sandwich bar, build-your-own-pizza bar, etc. Establish a set time or day in which to plan out your menu for the coming week/month. Doing it at the same time over time will help to make it a habit As with any new skill, menu planning becomes easier with practice. Stick with it, and you will begin to see the benefits it brings. Over time, you can make adjustments until you have a routine that works for you. 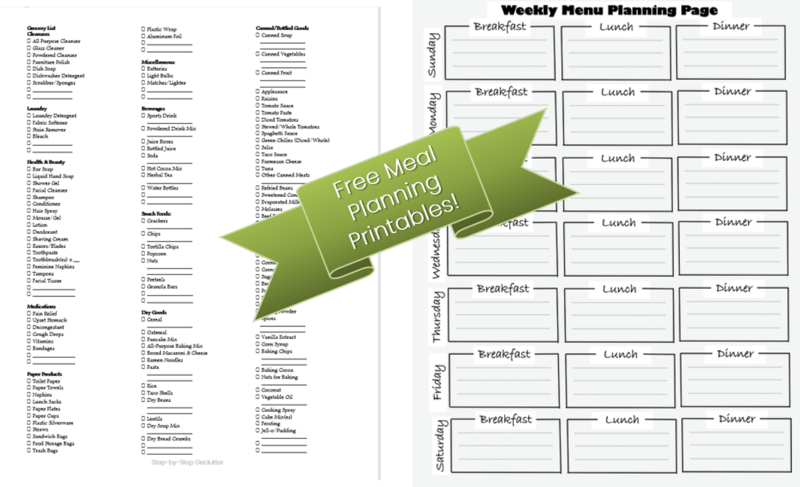 Create a folder, binder, or other system for storing meal plans. Consider placing recipes in with the plans for easy access. Establishing a theme for each day can make meal planner easier. For instance, Mondays might be pasta night, while Wednesdays could be chicken night and so forth. 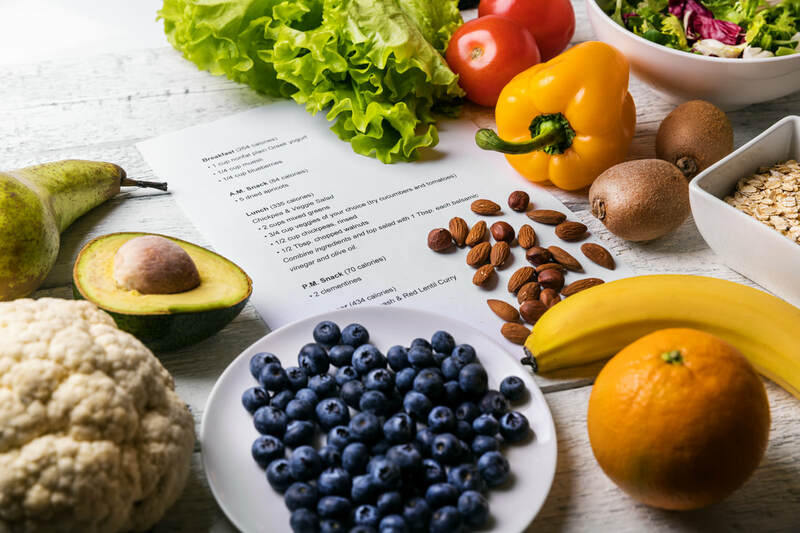 Narrowing down the number of choices for each day from everything imaginable to a specific kind of meal can make meal planning less overwhelming. Your meal plan is not written in stone. Feel free to switch things around as needed. Life happens, guests arrive unannounced, people get sick, and things pop up unexpectedly. Be ready to adapt as needed to the circumstances of your life. Swap out meals or trade meals between days as you see fit. In order to save time and avoid waste (of food and funds) create your shopping list from your meal plan. Avoid adding in a lot of items not required to prepare the foods you've selected. Click on the image below to gain access to my free printables library including the pages you see here plus tons more on a variety of topics! There are literally dozens of apps designed to assist with meal planning and shopping. I have tried several, but I have yet to find one that I truly love. 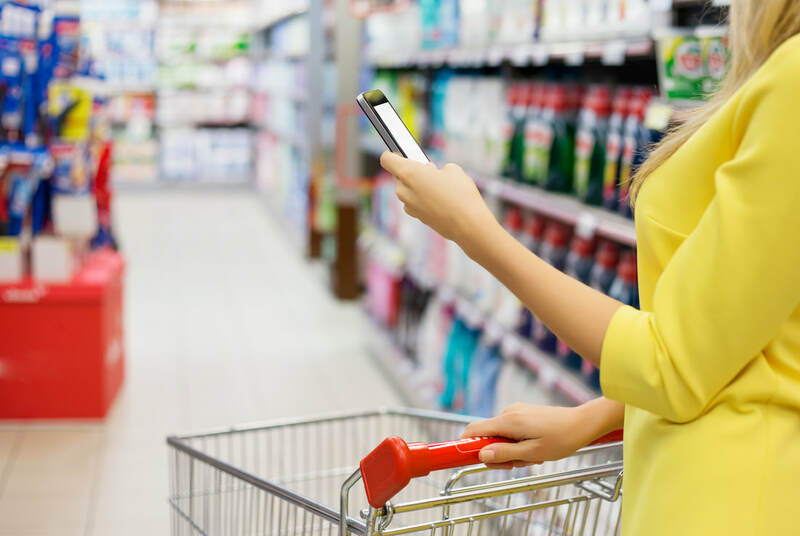 That said, you might want to check out this list of The Best Grocery List Apps to Simplify Family Meal Planning. If you found this page helpful, please share it on social media. You can also leave me a comment in the section below.